I’ll start with the simplest form, a basically 2 ingredient sauce. It’s very quick and easy to make – an inexpensive meal in a hurry. Boil salted water in a 3 quart pot. When the water boils add the pasta and cook until al dente. As the pasta cooks, heat the garlic in oil. Add S&P and red pepper. Add about 6 ozs. pasta water to the garlic & oil. Toss pasta in the sauce. That’s it – pretty simple! And it’s the base for lots of other sauces including clam sauce. Any left-overs are good for a Spaghetti Aglio e Olio Omelet. 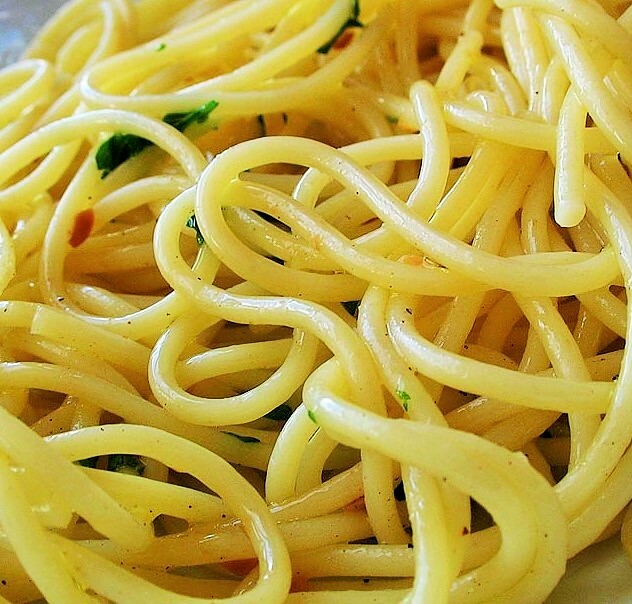 Cut the leftover pasta in 2 – 3 inch pieces. Brown slightly in oil, add some scrambled eggs, fold and it’s done. Although it’s traditionally made with spaghetti or maybe linguine, you can also try it with Japanese buckwheat noodles (obviously not traditional but very good – don’t tell Grandma). You can add: chopped parsley for a little color and/or chopped walnuts before adding the pasta to the sauce. If you want you can add a can (about 12) anchovies and dissolve them in the hot oil before you add the garlic. Also try about 3 table spoons of rehydrated golden raisins or currants. My mother’s father was Calabrese. 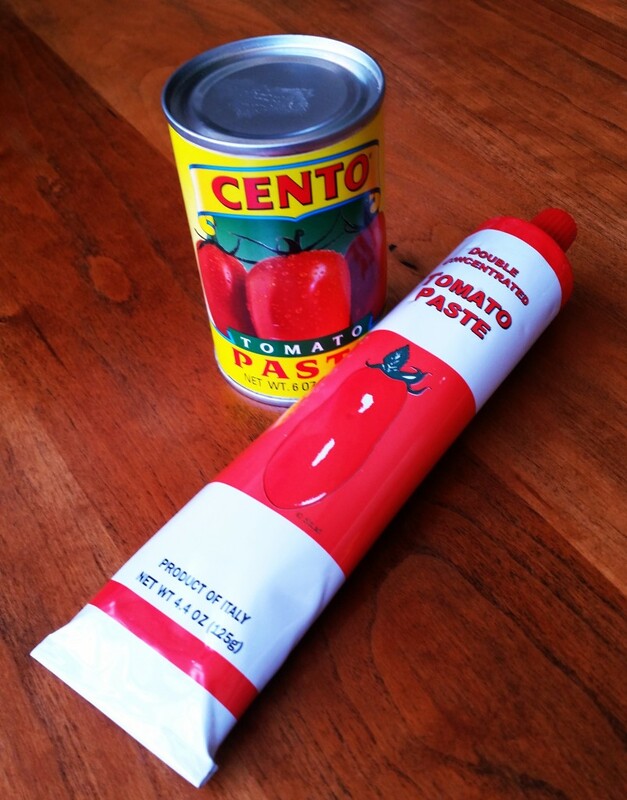 Calabrese housewives who ran out of preserved tomatoes during the winter could always come up with some tomato paste. Start same as above but add about 2 or 3 tbls. of tomato paste to the garlic & oil. Fry it for about 5 minutes and then add a cup of pasta water. Finish cooking the pasta in the sauce. 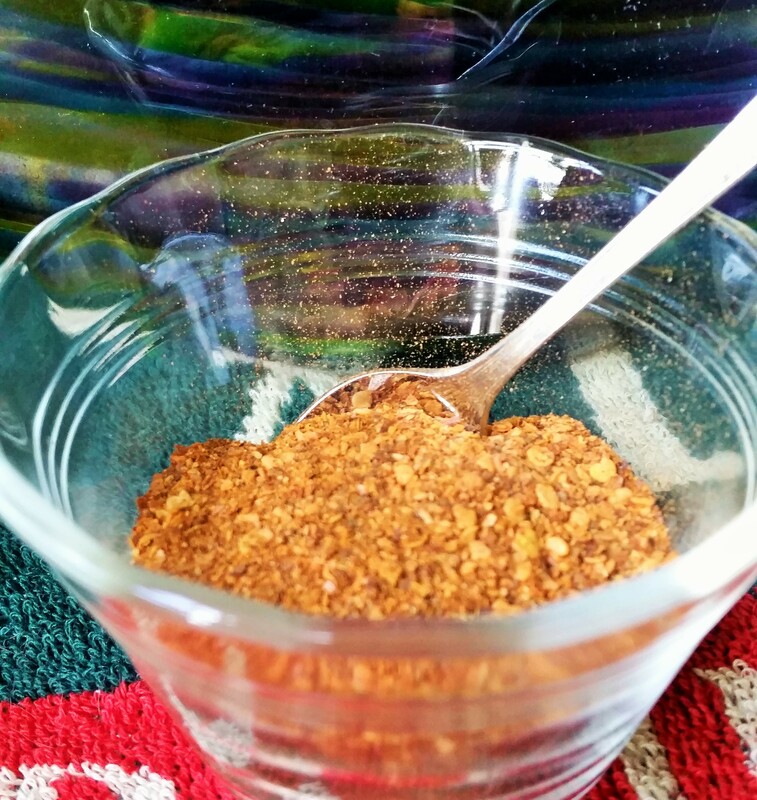 You can sprinkle with some toasted bread crumbs when serving. My father’s parents came from the town of Laurenzana in Basilicata which is where this recipe originated. When the garlic is frying add a heaping tablespoon of powered pepperoncini and 6 ozs. of pasta water. The sauce should be watery and pink in color. When the pasta is almost done, put it in the pan with the sauce to finish cooking. If you’ve put enough pepper the pasta should turn slightly pink. Very spicy! Sprinkle with toasted breadcrumbs. Powdered red pepper Basilicata style. Traditionally, these dishes are not served with cheese.